Doulas love meconium because it is your first clue to baby’s health in the first few days after birth. Within 24 hours, baby has their first poop, and it’s unsettling if you’re not prepared. What is this sticky, black substance oozing from my child? During their time in the womb, babies get their nutrients from their mother. What the mother eats is absorbed into her bloodstream, and then transferred to the baby through the placenta and the umbilical cord. Although babies don’t eat or digest their food like they will after birth, there is still waste-like substance left behind, which ends up in their intestines as meconium. Meconium is made up of epithelial cells (surface cells from inside the uterus), mucus, amniotic fluid, bile, and water. It is a black or dark green, sticky, tar-like substance, and usually passes a few days after birth and is replaced with a normal, yellowish-green poop. Passing meconium is perfectly normal for a newborn, but does pose some risks if it happens while you’re still pregnant. You’ll know if this has happened when your water breaks and the fluid is not clear. The most important thing to know, if baby releases meconium before they are born, is it increases the chances of Meconium Aspiration Syndrome (MAS), where they inhale the meconium after it mixes with the amniotic fluid, which increases the possibility of respiratory issues. If this happens, your health care team will induce or augment labour to ensure baby is born quickly and safely. Fetal distress from a lack of oxygen. 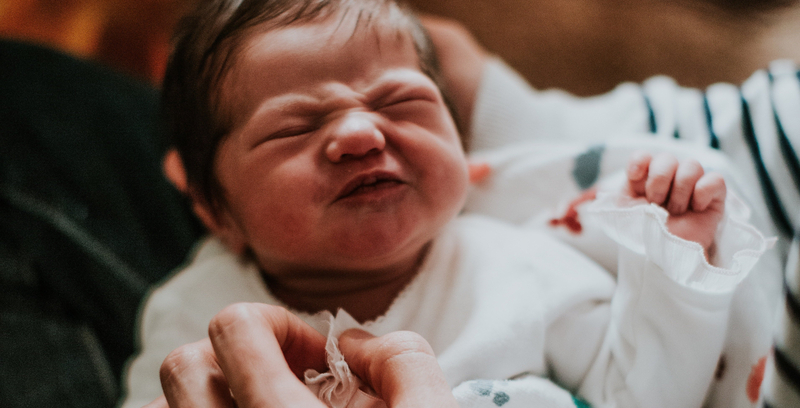 Don’t dwell on the reason why it happens, but if your baby is born with meconium present in the womb, you can expect the umbilical cord to be cut quickly, and a delay in skin to skin contact because their airway needs to be suctioned and cleared. They will be monitored to ensure their breathing is normal and unobstructed; and very rarely will a baby be taken away for observation, unless absolutely medically necessary. If you don’t experience this, you will have to clean up that first sticky poop. This usually happens within the first 24 hours. Passing that first stool is important to clear out their bowels, but also to pass excess bilirubin to prevent jaundice (yellow or orange pigmentation of the skin and eyes). Bilirubin is the byproduct of the excess red blood cells in a baby’s body. Since they are now breathing full oxygen, and not just haemoglobin from the placenta, those extra blood cells are no longer necessary, and cannot be processed by baby’s liver. A build up of excess bilirubin will lead to jaundice. The best way to ensure your baby maintains proper bilirubin levels in their body is to breastfeed. The first milk you make, called colostrum, is full of fat and nutrients which acts like a laxative to clear out excess waste in your baby’s bowels. Although you may not be looking forward to it, frequent poops are important for your baby’s health and to make sure bilirubin levels are kept low. Your baby should be fed at least every two hours; but if you’re worried your baby is not getting enough milk, the number of dirty diapers you change will give you some indication of this. Babies should have as many dirty diapers as days of life. Keep track of how many diapers you’re changing because this will be your best gauge. If you’re concerned about your baby’s colouring, diaper output, or weight gain, talk to your doctor. In the meantime, because that first stool is difficult to clean up, try putting Vaseline or petroleum jelly in their diaper first. This will make it easier to wipe off. It won’t last long, and you’ll have plenty of other diaper surprises waiting for you in the months to come.